RESISTANT PANELS: made of PP plastic with steel frames, these panels are eco-friendly, toxic-free and durable, holding up to 13 lbs. /cube; the frosted translucent design cheers up the style of the cabinet with a black and white curly pattern. FUNCTIONAL STORAGE SPACE: Multiple rectangular cubbies to store all your shoes in a reduced space; the cubbies can be build up together or separately, offering customizable solutions to fit in different spaces. 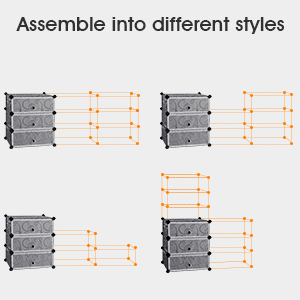 EASY TO PUT TOGETHER: multi-angled plastic connectors are included to assemble your modular cabinet; it is recommended to use a pair of gloves to protect the hands from getting scratched or harmed while attaching the panels with the connectors. 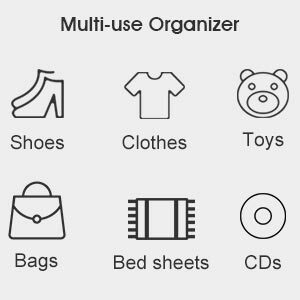 MULTI PURPOSE CABINET: each of the cubbies can store 2 pairs of shoes with a total capacity of 20 pairs of shoes; the modular closet can be used to store not only shoes but clothes, accessories, bedding and lining, CDs and DVDs, toys, cables. 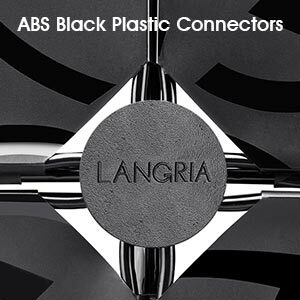 CONNECTORS & MAINTENANCE: the connectors are made of sturdy ABS to securely join the panels; the unit is waterproofed and dust-resistant; panels are easy to clean with a damp cloth; doors feature hole handles for easy opening as well as air flow. Put the panels and door panels together with the ABS black plastic connectors that are included in the package and decide how to shape your cube shoe organizer to better fit your space. Multiple assemble possibilities are awaiting: as a tower, placed horizontally, vertically, create 2 separate blocks… it is your decision! 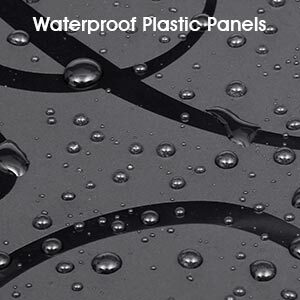 All panels are made from waterproof and dust-resistant plastic material, therefore, it is really easy to clean. When dirty, use a damp cloth and wash the panels’ surface. 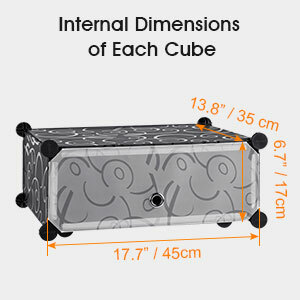 In order to avoid undesirable smell inside the cubes, each of them has a whole to improve air flow as well as to facilitate the opening of the cubes.